​Having your tires correctly inflated is very important. While it is annoying and tedious, it’s a chore that you have to do on a regular basis. If not, then there is a chance of getting a flat, having a very uncomfortable drive, your tires and wheels slowly deteriorating, and even increasing your chances of getting into an accident. All this because you tire is slightly deflated. Because of this, you need to always keep your tires in top shape, and you accomplish this by, among other things, using a tire pressure gauge. Now, this may sound simple and is much more easily said than done. Of course, you can check the tires easily, but actually choosing the best tire pressure gauge can be a daunting task. There are so many types, categories and brands of gauges that it can be overwhelming. That’s why we have taken the liberty of providing you with a guide on how to choose the one you need, as well as a short list of gauges that we believe are right for you. Our Pick For High Rated Tire Pressure Gauge! What is a Tire Pressure Gauge? A Tire pressure gauge is a pressure gauge that is used for measuring the pressure of car’s tire. For safety, it’s very important to check the tire pressure. By using this tire pressure gauge, you can diagnose your car tires when it needs air back up. Furthermore, if your car’s tire pressure is too low or too high it will hamper your driving on the road. For this improper pressure, it will be very hard to drive your car. Also, you may need more fuel when the tires are more inflated. Try to check the tire pressure each time fuel up your car. So, if you have an accurate tire pressure gauge, you can overcome this bad situation. 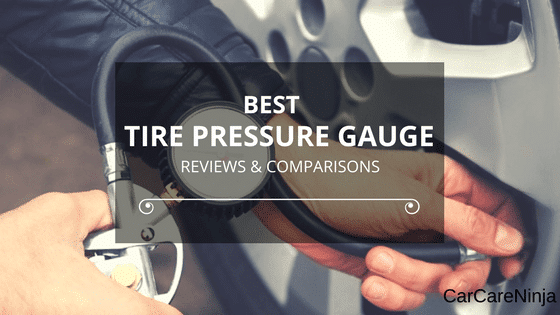 Here we’re trying to discuss the top tire pressure gauges review that you must need. ​These are the ​top tire pressure gauges that money can buy. Indeed, while all of these vary in functionality and features, you will definitely not go wrong with whichever one you choose. ​This is the best digital tire pressure gauge you can get, or at least, among the best, and with good reason. First of all, it has a nice lighted nozzle, and a lighted led display screen so that you can see what the actual readings of the device are, even in a low light environment. Furthermore, it displays the tire pressure instantly, and clearly, so you won’t have to guess and estimate the actual number like you would with some cheaper analog tire pressure gauges. Another great feature is that nifty little device actually seals the valve when placed on it, so as not to lose any pressure, or get imprecise readings. It’s very easy to use since you just press one button to turn it on, pick out the range you need, and then just place it on the valve. Finally, this wonderful device has an ergonomic design, so as to fit your hand comfortably, and even has an auto turn off function so as to save batteries. However, you need to keep in mind that this device will really eat up your batteries after repeated use, though this is easily fixed. ​This tire pressure gauge comes with rugged design and sturdy construction. Its angled head with rubber grip handle helps to work easily. Also, it’s large and clear LCD display gives you an accurate measurement you need. Furthermore, it’s very simple to use. Luckily, an automatic shut-off system is equipped with this gauge. So, don’t worry, if you forget to off your gauge. It gives you measurements in PSI and gives pressure readings ranging from 5 to 150 psi (in half-pound increments). They also include replaceable batteries. Some have, however, noted that the gauge isn’t that good for bicycle tires. For whatever reason, the readings on smaller tires, that have naturally less pressure in them, are not as precise. ​AstroAI is truly a darling because of its best-performing tire gauges. The AstroAI Digital Tire Pressure Gauge is another top-quality product that holds their reputation in the automotive industry. This is one of the ​highest selling gauges right now. AstroAI designed this tire pressure gauge to maintain accurate tire pressure and extend the tire life. With its digital display, you’ll get the perfect reading instantly. Furthermore, it’s very simple to use, since all you have to do is press one button, and then select the range you need. Also, its lighted nozzle is a great feature. Now, you can easily measure the pressure in a dim light area. For saving the power, it’ll automatically shut-off within 30 to 40 seconds. Indeed, you’ll get measurements in PSI, bar, kg/cm and Kpa. You’ll get pressure readings from 0 to 150 PSI range (in 0.5 increments). Both men and women can easily use this gauge for its non-slip grip. Also, you can easily carry this in your toolbox or glove compartment. No hassle. Luckily, this AstroAI gauge comes with a 1-year warranty. It’s truly excellent for the cost and flexible for all vehicle. Now, this is one old-school-looking device. Coming from TireTrek, this gauge, like all of their other products, is a great one, with good reason. First of all, this mechanical gauge has ANSI B40.1 Grade B certification. Or, in English, it so good that it has less than 2% variation and discrepancy when using it, making it very precise. But, not only is it precise, but it is also incredibly durable. Made from steel and brass, it’s protected by a rubber cover, so even if you drop it, it won’t even get a scratch. Another great element is that this being a mechanical gauge, no batteries are required. Not only that, but it can be used in and under any kind of weather, and none of that will influence its functionality. A nice feature that TIreTrek added is that the dial is quite large, so you will have a clear view of the pressure of your tires, without having to decipher tiny numbers and prints. Still, some have reported issues with getting the gauge to seal the valve of the tire. However, with just a little bit of effort, this should be a non-issue very soon. This can be the best analog tire pressure gauge as far as looks are concerned (and maybe even functionality).Best thing is that, it meets the Accuracy Standards ANSI Grade B40.1 (±2%). Now, this thing is heavy, very heavy. It’s made from solid heavy duty components like brass and steel. Also, it has a black rubber shell that surrounds the sides of the gauge, making it essentially a viable blunt weapon. But also a gauge that can have a tank run over it, and still stay functional. Furthermore, it has comes with an inbuilt “air bleeder” valve which can help you gradually and easily reduce pressure in tires that are over inflated. It measures 0 to 60 PSI range with single increments scale. Another nice feature is that the dials and increment scales glow in the dark. So, you can easily read the number even when in the dark. Finally, it has a 360-degree swivel chuck which allows you to have easy and simple access to a tire valve from any and all angles (awkward or otherwise). Some customers have reported, though, that the connection to the valve fits awkwardly until you place it just right. Still, this shouldn’t be that big of an issue if you’re careful (though we understand that it can be annoying). ​This gauge is incredibly precise as the best dial tire pressure gauge. It comes from the Rhino USA Company. It is calibrated so perfectly that it is certified with ANSI B40.1 Grade B standard accuracy. It comes with solid brass 360 swivels and “no leak braided air hose” make this gauge user-friendly. Furthermore, you can easily read with its 2’’ heavy duty dial. You can measure pressure between 0 – 75 PSI range. This gauge is surrounded by a rubber cover which makes it durable and strong. So, don’t worry if you drop this. Luckily, you’ll get some benefits like digital gauges for its dial window. It glows in the dark which allows you to measure pressure in the low-light area. Also, this long-lasting gauge will help you to save fuel and money. And finally, the best part – no batteries! Since it’s a mechanical/analog tire gauge, no batteries are needed. RHINO ensures the 5-star user experience with 100% satisfaction. Interestingly, if you aren’t satisfied properly then you can refund your product. Also, you can enjoy a lifetime product warranty. Love it or leave it, it ups to you! ​This digital gauge is made from a die cast metal case, made from heavy duty steel, making it exceptionally durable and protected (especially when compared to other digital gauges). Now, it’s actually ergonomically designed to fit you hand type and size, whatever it may be. Furthermore, it’s quite simple to use. All you have to do is press a button to turn it, then press it again and choose the PSI pressure scale that you wish to apply. Another nice feature is that it shuts off after 30 seconds of non-use so that it won’t eat up your battery. Furthermore, it has a blue LED that lights up the nozzle and the display screen. This means that if you really need to use it in the dark, you can, with no issues or problems. It’s also important to mention that this device has a rubber grip so that it won’t slip your hands. But probably the best and most important part is that it measures 4 types of scales (psi, kPA, Bar and kg/cm2). However, some have reported that this one is not as precise as other gauges are. Indeed, while it is a fine product, if you really need incredibly precise readings, it may not be the best option. ​Coming from Exwell, this gauge has an extremely wide range, and is quite accurate. It allows you to measure ranges anywhere between 5 and 150 PSI. ​An added feature is that it gives out read outs in increments of 0 to 10 Bar, 0 to 10 KG/cm2, 0 to 1000Kpa, all the while providing you with ninety-nine percent accuracy (when the temperature in the tires is 25 degrees centigrade). Furthermore, this digital tire pressure gauge has a backlit display that can make it very easy to do readouts and measurements during the nighttime. Not only that but since it has a metal build and construction, it is basically guaranteed that this thing will last you for ages. Another great feature is that it has a wide range of measurements for various tire sizes so that you can essentially use this, with great efficacy, for everything ranging from cars to construction vehicles, trucks and bicycles. However, Exwell, while having excellent quality products, tend to be a bit on the more costly side. ​This mechanic recommended tire pressure gauge is calibrated in line with the International Accuracy standards and is without a doubt one of the most reliable tire pressure gauges money can buy. The construction is solid and rugged, with a gear-style rubber guard around the dial, and the entirety of the gauge made from steel and brass. Furthermore, the dials glow in the dark, so you know you are going to get a quality reading every time you need to. The gauge is a combination of black, gold and silver colors, making it look really cool and classy. Another element that this gauge has is an air bleeder valve that can help you release any and all excess pressure found in your tires. Not only that, but it also has a no-leak hose and, since it’s a mechanical gauge, is battery free. ​However, while it fits great on new valves, old-school valves found on classic bicycles or cars can pose some issues. ​And it will need a bit of precision and elbow grease in order to work. ​The Auper is a precise and quality calibrated tire pressure gauge that will last you a life time. It’s made from heavy duty steel and high-quality brass, both of which give it a gorgeous shine and decades of durability. The hose is made from very high-quality rubber that is firm, yet flexible. Not only that, but this gauge has the patented “Dual Layer Protective Guard” system that is integrated by the AUPERCompany. Next, the chuck is angled at 45 degrees and is quite easy to use. The dial has a refined and more precise measuring system, and (since it's 1.5 inches) can be placed in your glove box for easy access. However, some take issue with this and believe that the dial and face are just too small. Still, to each his own. ​At position eight in our list of tire pressure gauges, we want to discuss the ​top quality pencil tire pressure gauge – the Milton Single Chuck Head Pencil Tire Pressure Gauge. And you know what? We all are familiar with Milton Industries for their qualitative products. Yes, this is one of the best products from them. Milton tire gauge provides you the accurate readings with long-lasting performance. It is built with high-quality brass and four side nylon indicator bar. Also, it’s equipped with a deflator valve. You’ll measure pressure range between 5 to 50 PSI (1 pound increments). This single chuck head gauge is easy to carry in purse or pocket. You should keep in mind that the International Security Driver Association regularly emphasizes how important tire pressure actually is. That’s why you should always keep an eye on that. There are several things and factors you need to keep in mind when searching for a tire gauge. 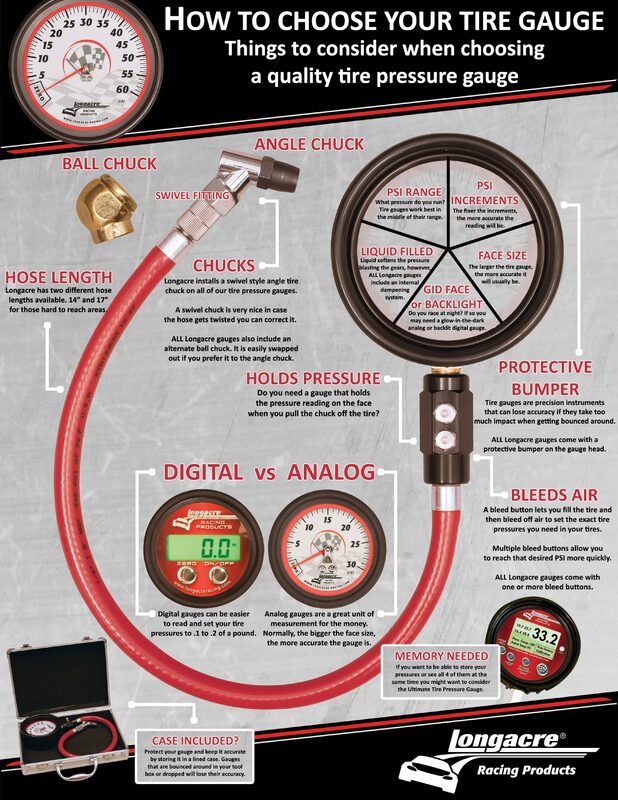 Here are some key features you need to look for in a tire pressure gauge, no matter what type of gauge you choose. First priority should be the actual ease of use. This considers whether you need one or two hands to operate the gauge. You need only one hand if you use digital or stick tire pressure gauge. But dial gauges need to operate with two hands. Therefore, ensure you have easy access to the tires themselves when you use these things. Next, will they last? The materials and the construction of your tire pressure gauge should indicate how difficult or easy it is to break them. Also, if they show no outward signs of damage, after some time and wear, their precision and accuracy will drop. You can use a tire pressure gauge for a long time with proper care. Always try to buy a gauge which is fit for all weather. Also, try to avoid roughly used gauge. Then, how easy they actually are to read. It makes no sense to have a tire pressure dial without having the ability to read what they say. So, keep in mind if you have enough light (and so, in turn, do you need a LED display). Another factor is just the size of the read-out screen. Digital gauges feature a big display where you can read numbers easily. If the screen is too tiny, it can be very annoying to use. Also, you will get some large gauges which you can’t easily carry with you. Big size will be a factor if your car’s glove compartment has small space. Next factor is the PSI Range. The best one is capable to handle the required air pressure.PSI range of your tire pressure gauge totally depends on your car. Some cars and tires can go with slight variations in PSI number. You will find the recommended PSI on your owner’s manual. You can also check the tire placard which is fixed with glove compartment, fuel door or car’s door. Mainly, try to take a tire gauge which can handle the high pressure. Such as, if maximum PSI of your tire says 40, then you need to take a gauge to measure more than 40 PSI. This is the ideal decision. PSI increment is another factor to pick a perfect gauge. With a low-quality gauge, you can’t measure the low increments. So, must ensure the low PSI increments readability. You will get the accurate reading with more magnificent increments. Accuracy is one of the vital considerations. You must buy the best one to ensure the accurate readings. Every tire gauge provides the maximum accuracy in the middle of the range. There are very few gauges which can handle the pressure down to zero. If your car tire is filled with 42 PSI, after testing with two gauges you will get 32 PSI and 44 PSI readings. Then the gauge is perfect for you with 44 PSI readings. Also, if you have high-pressure tire then 3% to 5% inaccuracy is a big fact for you. With some latest digital gauges, you will get the most accurate readings quickly. Therefore, it’s quite tough to buy a gauge without any testing. So, always try to go with a re-known brand product to get more accurate reading. It's only for you if you want to go with a dial tire pressure gauge. Always try to pick a gauge with the long hose. It will help you to work in tight areas easily. Also, you can use this without staying close to your tires. You need to pick a gauge that can easily carry with you. The ideal decision is to take a compact and lightweight product for your daily use. If you need a product for your repair shop, then go with a heavy one. Because you need to use this gauge roughly. Otherwise, you can choose a simple and small one for your personal use. For long lasting and an accurate product don’t go for a cheap one. By spending some extra dollars, you will get the ​top quality gauge with excellent features like air release valve and flashlights. Luckily, high quality gauges aren’t too pricey. You can also check other important features like chucks, face size, bleed air ability, protective bumper and holding pressure. For maximum drivers, these extra features are not so important. But for car enthusiasts or professional drivers, these features need to consider. ​Now, there are essentially three types of pressure gauges. These are stick, dial, and digital. These vary in a variety of factors, but one that they should all have in common is the pressure range. You should get a range of around 60 psi, though most gauges (and those that you should look out for) have ranges that go from 5 to 99 psi. You will found four types of tire pressure measurement units on these gauges. Do you know these units of tire pressure? If not, see below. ​​A stick type looks, essentially, like a pen or a pencil. These are very compact and easy to use, as well as being affordable. Indeed, you can place them almost anywhere you want. However, they tend to not be as precise as other types. ​But the fact is that it may quite hard to read. If you want a small and portable gauge, you can choose this. Next, we have dials. It is also familiar as analog tire pressure gauge. They essentially look like a clock, and the pressure is indicated by a moving needle. Now, they can come in a variety of shapes and sizes, as well as having a number of add-on (like bleeder valves or extension hoses). While they can be bulky, they have that cool look that many people are attracted towards. Also, they are quite easy to read and tend to be more precise (but more expensive) than other types. Finally, we have the digital type. These have an electronic LCD display that looks like a small calculator. They are very easy to read, and, while not as resistant to blunt impact like dial gauges, are more resistant to dirt and dust. They are also easy to use, since the LED lights that are found within light them up when you work in the dark. However, you will need batteries for these, which can run out. AstroAI is one of the largest tire pressure gauge manufacturer in the world. They produce few categories product but ensure the quality. Also, AstroAI supplies their products all over the world. However, AstroAI is very determined to supply fulfill product to customers hand. They always try to improve their product quality. In our top products review, AstroAI got five stars for product quality, easy handling and global customer’s satisfaction. TireTek is a reputable and trusted manufacturer of tire pressure gauges. If you are looking for accuracy and reliability, just stay with TireTek. TireTek produces automotive accessories mainly inflators and tire pressure gauges. They manufacture the product by maintaining the ANSI B40.1 Grade B standard for accuracy. All products are 100 percent tested before approved. So, you can trust the product quality and longevity. They have huge customers all over the world. Also, if you have any problem, you will get the ​enough support from them. Jaco has been in the automotive accessories manufacturing business since 2014. But their team members are experienced over 30 years. They designed all products carefully in the USA. Simply, their all focus is to ensure the ​quality and performance level of every product. For this reason, they already got huge 5-star product reviews, media praise and positive seller feedback with awards. Accutire is another industry leader for manufacturing tire pressure gauges. Accutire has been in the business for 10 years. They are very popular in the industry for their exceptional and high-quality products. Also, their tire gauges ensure the accurate readings, save gas and tire safety. Milton Industries is a trusted and reputable tire gauges manufacturer that was established in 1943. They also produce blow guns, hose and brass fittings, window inflator gauge etc. Day by day, they become famous for their best quality pneumatic accessories and fittings. For instance, Milton tire gauges certify the correct measurement and product longevity. So, if you’re concern about your tire pressure lets a try with them. ​Always try to check the tire pressure when your tires are cold. Morning is the ​perfect time to use your tire pressure gauge. Also, you can check minimum 3 hours later after stopped your car. ​Maximum manufacturer recommended checking the tire pressure at least once a month. Also, you can check before a long trip. ​You can check the owner’s manual or, the tire’s sidewall if you want to know the recommended pressure. Store your tire gauges in a clean location when you don’t use this. Because dust can cause false readings of your tire pressure gauge. After checking your tire, again ensure the proper fitting of the valve cap. Don’t let your tire pressure gauge stay in the freezing cold or scorching sun. This can impact how it behaves and can mess up its precision. Keep in mind that your car can heat up in the summer very quickly, meaning it’s not a good idea to keep these things in a glove box. 1. How much air pressure should be in my tires? ​Answer: Interested to know the proper air pressure for your car tires? We always recommend using tire pressure by following the manufacturer’s instruction. Generally, you will find this information inside the driver’s door jam. Be careful; don’t inflate your tire with the listed pressure. Because this is the maximum pressure that your tires can hold. So, this number is not the recommended pressure for your car. Tricky, right? 2. What happens if I over inflate my tires? Answer: Some may have a wrong conception that over-inflating the tires will give better fuel mileage and easy handling. But the truth is, over-inflated tires are dangerous for you. ​You will get a poor handling and bouncy car. ​It causes premature wear of the tires. Maybe only half of life they last as usual. ​If your tires get hot, it also causes blow-outs. ​3. What tire pressure is too low to drive on? Slight low tire pressure is not a big problem. But if TPMS light on or say 4, 5, 6 PSI – then it’s a big problem. Generally, TPMS light give warns when the tires are under-inflated by 25%. However, take this matter seriously when TPMS light will on. If you’re driving, go to the nearest gas station. 4. What is the recommended tire pressure for 44 psi max? Generally, the manufacturer determines the tire pressure based on the type of tires and vehicle’s weight. Here, 44 PSI means this is the maximum load the tire can handle properly. So, it will not wise decision to inflate your tires with 44 PSI pressure. We recommended keeping pressure always around 10-15% of the max. PSI rating. If max tire pressure 44 psi, you can go with 32-38 PSI. It also varies for the difference of tires and vehicles. However, many manufacturers have the same opinion to get the best performance of your tires. 5. Should I inflate my tires in cold weather? ​Yes, you can. But keep the air pressure lower from the maximum pressure rating. PSI levels drop as the outside temperature drops. Tire air pressure falls 1 or 2 psi after decreasing every 10-degree Fahrenheit temperature. It also causes your tires underinflated. ​We sincerely hope that we have helped you find the best car tire gauge for your needs. Using this guide you should understand which are the top ten tire pressure gauges that you can find. Not only that, but you know what type exist, what makes them different, and how to know which one suits your needs. Finally, you know what characteristics and features you should look for. All in all, we wish you the best of luck with your car and your tires. How Reliable are Jeep Wranglers? Lucas Heavy Duty Oil Stabilizer Review: Yay or Nay? SureCan 5 Gallon Gas Can Review: Is It Worth It? Carcareninja.com may be a participant in the Amazon Services LLC Associates Program, an affiliate advertising program designed to provide a means for sites to earn advertising fees by advertising and linking to Amazon.com.​ Amazon, the Amazon logo, AmazonSupply, and the AmazonSupply logo are trademarks of Amazon.com, Inc. or its affiliates. Copyright text 2019 by Carcareninja.com. All Rights Reserved.